Looks good Rosscla. I need to tidy my wiring up but getting the time or enthusiasm is slowing me down from doing it. How did you get on with it Rosscla? Did you get to test it out in the dark? Send him a message to see when they are back in, he's been helpful when I've been in contact. I got some car dash lights off him too. He's an ex scooterist and I believe working with scootering on getting a standard lammy fitting one tested. Still be DC though. I got a lambrettaupgrades one which is really good. Nothing fancy Glyn. I'm using a 22mm carb, Scootopia Clubman and a 47 rear sprocket. So you can see there is scope there to get more out of it. 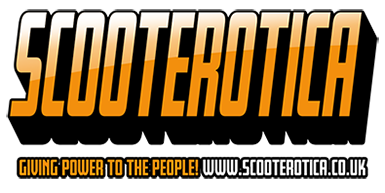 Even so, it's the fastest scooter I've had. Cool. I have 16/46 on mine but was wondering if its worth trying something else. Have a jet200 gearbox in mine.